I have a routine in the morning. I make my coffee or tea, today it was an iced cinnamon café au lait. I answer emails and then take a moment to window shop the wedding world. There are a few places that I always stop by to see what they're up to. 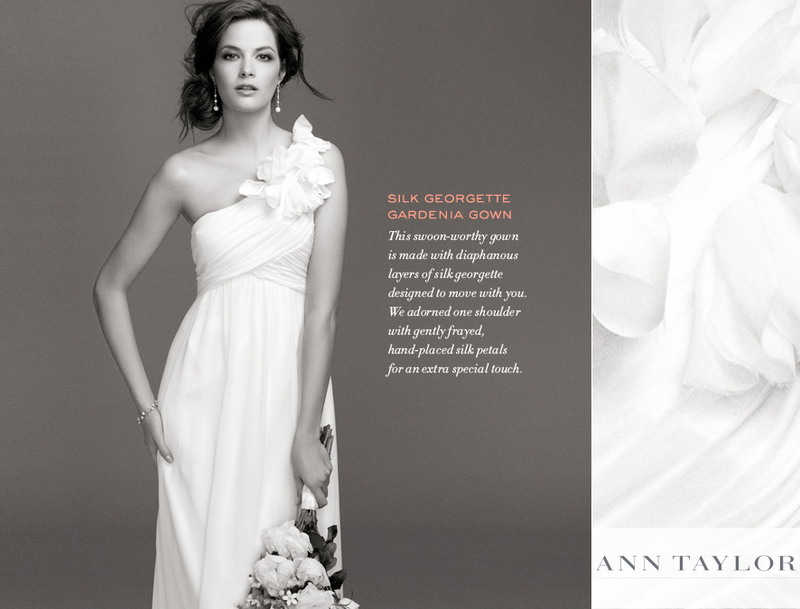 Today I stumbled upon wedding dresses by Ann Taylor, who knew right? They are so pretty and I would happily wear either of these down the aisle (I'm a bare-foot beach bride, so these are perfect). 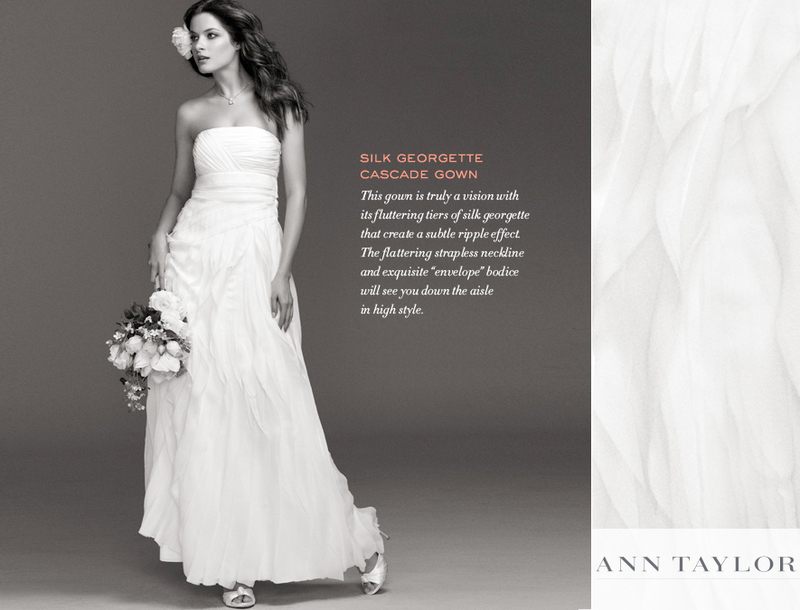 Beautiful and budget friendly, oh and Ann Taylor is having an exclusive 40% off sale in their online shop which includes these beautiful wedding dresses. After the sale is applied the top dress is $270 and the bottom one is $330, these days it's crazy to find bridesmaid dresses for that price. They have some really cute bridesmaid dresses too (see below). If you're looking for a dress please check them out. Happy shopping!